(Bloomberg) – Nissan Motor Co. plans to invest a further R3bn ($213m) in its South African plant to prepare for production of the latest version of the Navara pickup. 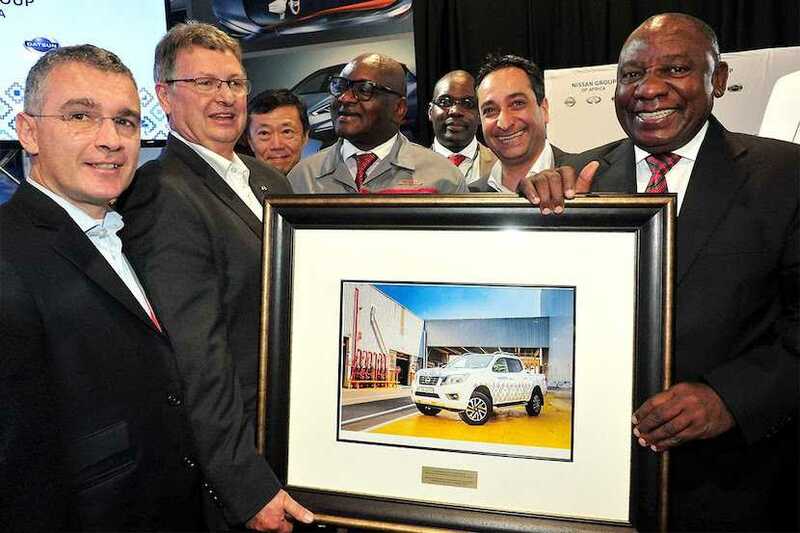 The decision by the Japanese carmaker may add 30,000 units to the plant’s current annual volume of 35,000, Mike Whitfield, managing director of Nissan Africa, said at the factory north of Pretoria on Wednesday. 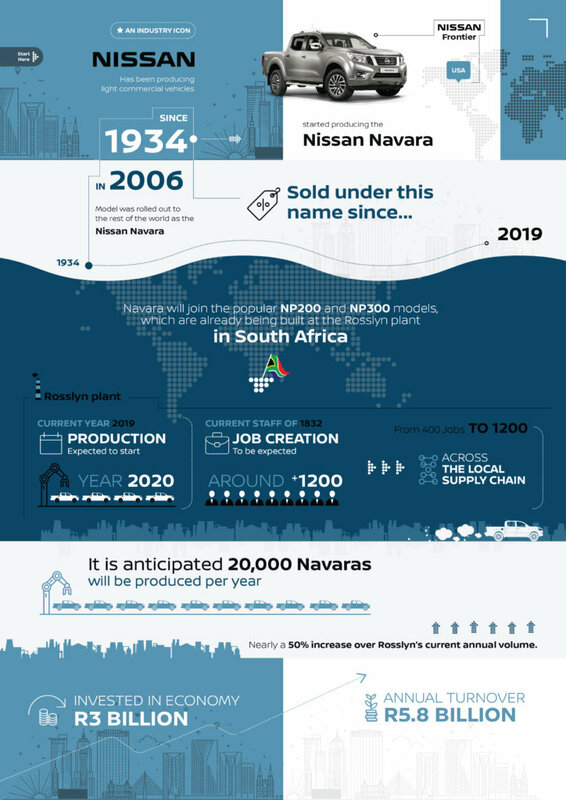 The manufacture of the Navara from 2020 will also create about 400 direct jobs in a country which has an unemployment rate of 27%. 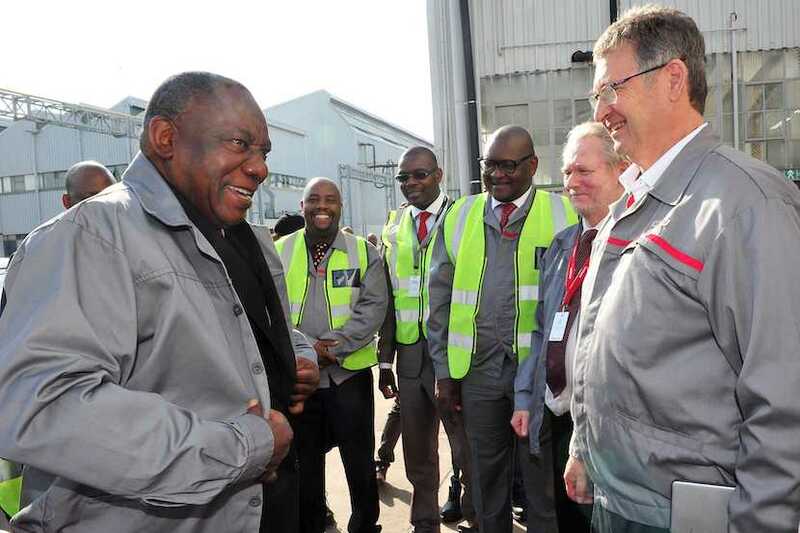 “Automotive is already the largest part of South Africa’s manufacturing sector, contributing around 7% of gross domestic product annually and accounting for a third of manufacturing output,” South African President Cyril Ramaphosa said at the Nissan facility in Rosslyn. Nissan’s investment is the first significant commitment by an automaker since international firms agreed with the government late last year to extend a manufacturing incentive program through 2035. The plan has also seen the likes of Toyota Motor Corp., Volkswagen AG and BMW AG operate plants in the country, in return for generous tax breaks. The majority of vehicles are produced for export. Nissan plans to more than double its industrial reach in the Middle East, Africa and India by 2022 by adding more factories, Peyman Kargar, chairman of the car-maker’s operations in those three territories, said in an interview last month. Rio Tinto has approved the next stage in the development of Richards Bay Minerals (RBM) in South Africa through the construction of the Zulti South project. The $463m (Rio Tinto share $343m) investment will sustain RBM’s current capacity and extend mine life.